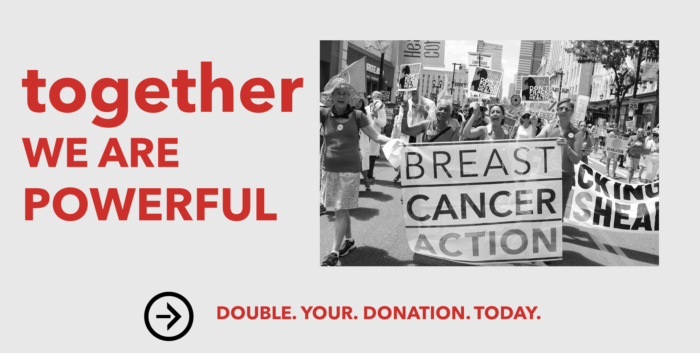 Our board has offered a dollar-for-dollar match, up to $5,000 for all new or increased donations. If you’ve been waiting for the right time to give or increase your gift to Breast Cancer Action, the time is NOW. 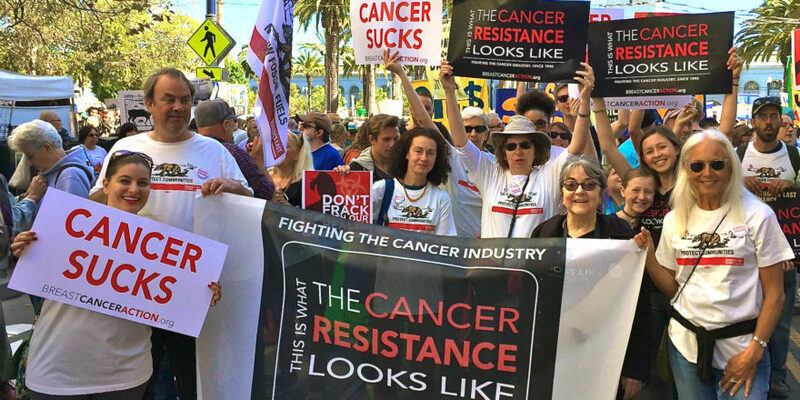 Our spring fundraising goal is to raise $15,000 to fund our vital grassroots activism. Chip in and help us reach our goal! ← We need your help. Do you have a minute?